Looking for unique and fun horse and farmyard design giftware? Sparks Gift Wholesalers are one of the UKs leading suppliers, distributors and importers of Farmyard and Horse themed gift products. Farmyard Gifts for the boys, Horsey Gifts for the girls and Countryside Gifts for the Home. Gift traders and retailers of all kinds can buy horse, farmyard and countryside design doorstops, cushions, ceramics, mugs, wall plaques, ornaments and more! We stock a selection of very popular 'down on the farm' and 'countryside' design gifts. Think Horses, Cockerels, Rabbits, Foxes and Duck Design Gifts.......Think Sparks ! Sparks Gift Wholesalers, one of the UK's leading suppliers and distributors of wholesale gifts to the giftware trade stock a varied range of farmyard design and style gifts. Horse, Rabbits, Cockerels, Ducks, Foxes and Hen design gifts include Stationery and Notebooks, Figurines, Plaques, Mugs as well as Novelty and Fun products. 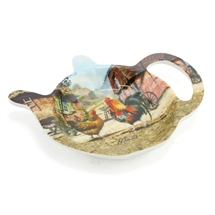 We stock the latest trends and designs in 'Farmyard' Gifts. Shop at Sparks Gift Wholesalers and take advantage of our market leading wholesale prices for gift traders for Farmyard, Countryside and Horse gifts!